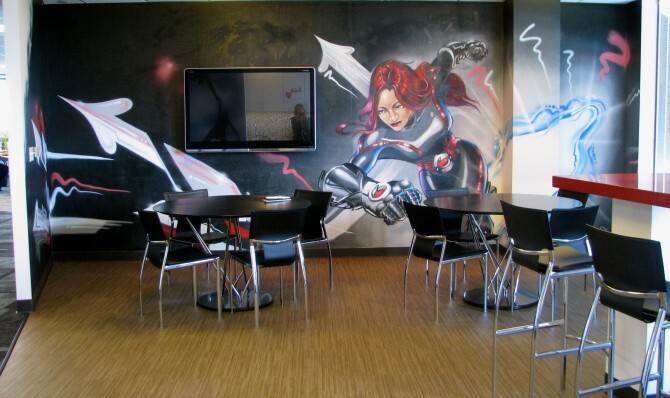 When Vodafone was searching for a way to define their first ever fully integrated R&D center “Vodafone Xone” as a space for inspiring innovative technologies, they approached Artsource Consulting. After investigating the core values of Vodafone and the specific role of the Vodafone Xone, we recommended integrating the work of Oakland and Honolulu based graffiti artist Estria Miyashiro. Working closely with the head of R&D at Vodafone, Miyashiro conceived of an avatar within a large scale mural that would be used as the identity of the Center and that reflects the company’s qualities of speed, global networks and the next generation. 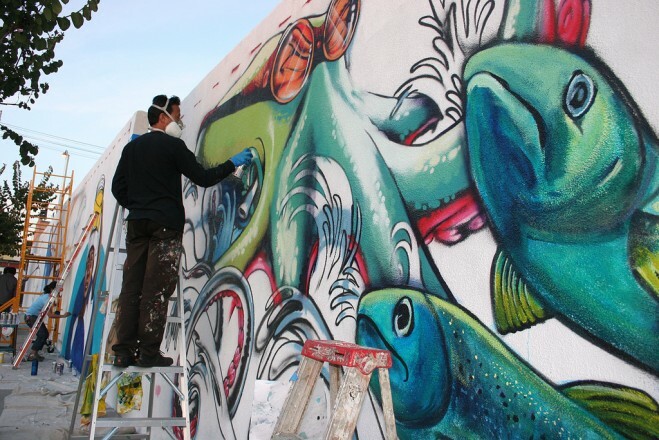 In 2011 The Estria Foundation started Water Writes, a series of 10 collaborative mural projects in 10 cities across the globe. The theme of water connects the participating communities and documents the current local and international water crisis. In the collective creative process, they engage youth, artists, organizers, and environmental activists to create imagery which reflects the relationship between the people and the water of each area. Community members are invited to a public paint day and able to participate in bringing these ideas into reality. The final murals are accessible to view by the public and also to communities across the world through video documentation and the Internet. Estria Miyashiro working on a Water Writes mural in Los Angeles.